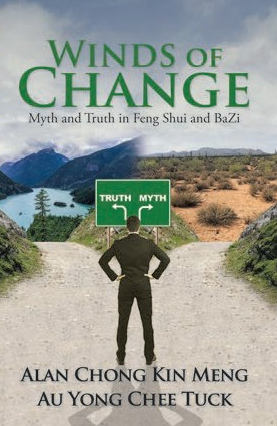 When I was writing my first book back in 2016, I was asked to suggest a book title and it took me a while before I arrived at WINDS OF CHANGE which was then accepted by my co author. Why this title, you may think. First of all, we felt that there will be a change in government in Malaysia if the elections were to be held in 2018 although it seems almost impossible back then and the reason was with the good luck cycle of PM Najib that will end in 2018. However, this is the past fact. Secondly there will be a change in the Feng Shui world from as early as 2019 to about 2029. Phase one will begin the beginning of the slide in 2017 but the more significant change will be felt more in 2019-2021. There will be a major change in the Feng Shui scene due to this event. However, still there will many new Feng Shui consultants sprouting out from then till we enter Period of Nine which starts from 2024. Many are confused with the difference between Divination and Astrology. This happening is, I believe due to the blurring division or definition between the two arts. Let’s examine it’s initial roots. Thus in the past they belong to different categories of study. However, today, modern practitioners use one art for multiple purposes causing the blurring of their true purposes. Under Astrology category are Bazi 八字 and Purple star Astrology or Zi Wei Dou Shu while under Divination are arts like Plum blossom, Wen Wang coins, Yi Jing imagery, Qi Men Dun Jia, Da Liu Ren etc. This are is mainly to provide us on the moment answer to our questions we have in mind or to know the weather in the near future to assist our planning. In the old days a victory in war is very dependent on weather. A smart military strategist can use it to find out when a fog is coming to use it to their advantage for example. You probably hear of Zhu Ge Liang the great military strategist who won the battle of Red cliff by using fog to “borrow a thousand arrows” from Cao Cao and also “borrowing the Eastern wind” where he launched fire boats to crush Cao Cao navy after tricking them to tie their boats together.